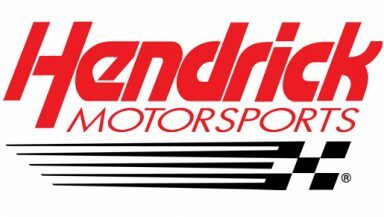 CONCORD, N.C. (Oct. 10, 2018) – Hendrick Motorsports has named new crew chiefs for the organization’s Nos. 24 and 48 NASCAR Cup Series teams, effective at the conclusion of the 2018 racing season. · Knaus will become crew chief for William Byron and the No. 24 Chevrolet Camaro ZL1 team with its respective personnel. He currently leads the No. 48 team of Jimmie Johnson. · Meendering will become crew chief for Johnson and the No. 48 Chevrolet Camaro ZL1 team with its respective personnel. He is currently crew chief of NASCAR Xfinity Series playoff contender Elliott Sadler. · Grubb will be promoted to technical director, an executive leadership role supporting Hendrick Motorsports’ engineering and vehicle development resources. He is currently crew chief of the No. 24 team with Byron. Founded by Rick Hendrick in 1984, Hendrick Motorsports has earned 251 points-paying race victories and a record 12 car owner championships in the premier NASCAR Cup Series. The organization fields four full-time Chevrolet teams on the Cup circuit with drivers Chase Elliott, William Byron, Jimmie Johnson and Alex Bowman. Headquartered in Concord, North Carolina, Hendrick Motorsports employs more than 600 people. For more information, please visit HendrickMotorsports.com or interact on Twitter, Facebook and Instagram.